“The A – Z of C. S. Lewis” is already acclaimed as the definitive guide on C. S. Lewis and with extensive details and insights into his life, with a comprehensive, all inclusive look into his writings. This is much more than a catalog listing of his books. The book is designed to encourage readers to explore the scope of his writing and to provide interesting little known information and details from his life, his years at Oxford, his relationship with his peers, his friends, and his family. 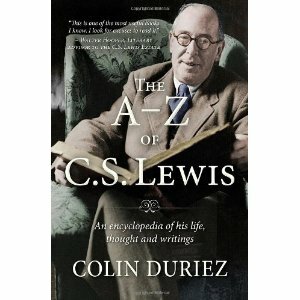 “The A – Z of C. S. Lewis – An Encyclopedia of His Life, Thought and Writings” is an important addition to the library of every Lewis reader. Highly recommended. This entry was tagged On the Writings of C. S. Lewis. Bookmark the permalink.